All the cupboard doors flew open on the way north. When we stopped for lunch, cans of baked beans were rolling around on the floor among plastic plates and cups and packets of biscuits. On the way home, the door fell off on to the road. 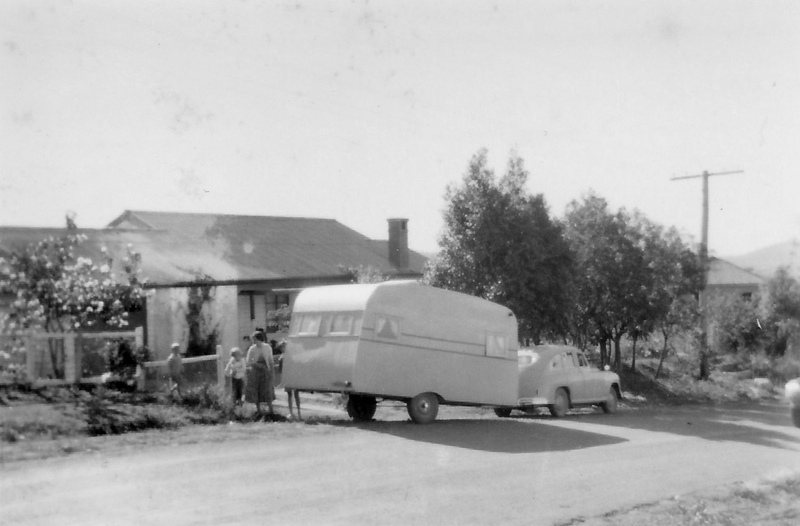 This was my first and only experience of caravanning. I was seven. It was a rented plywood van pulled by the family Vanguard, from Nambour to Yeppoon. The grey Vanguard: what an ugly car that was. We never went caravanning again. From then on, it was Dad’s old army tent, from Melbourne to Cairns, out west to Barcaldine and beyond. I remember nothing but pleasure on those economical tent holidays. I was hitched on road trips, but not on caravans; unlike so many other grey-haired people today. 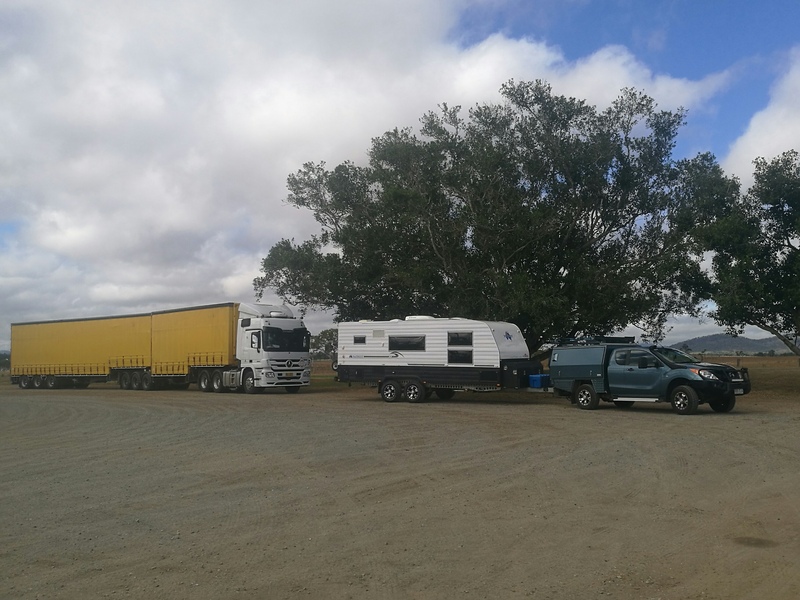 One winter, Con and I took a trip to western Queensland and spent a night at Nardoo Station campground, north of Cunnamulla. 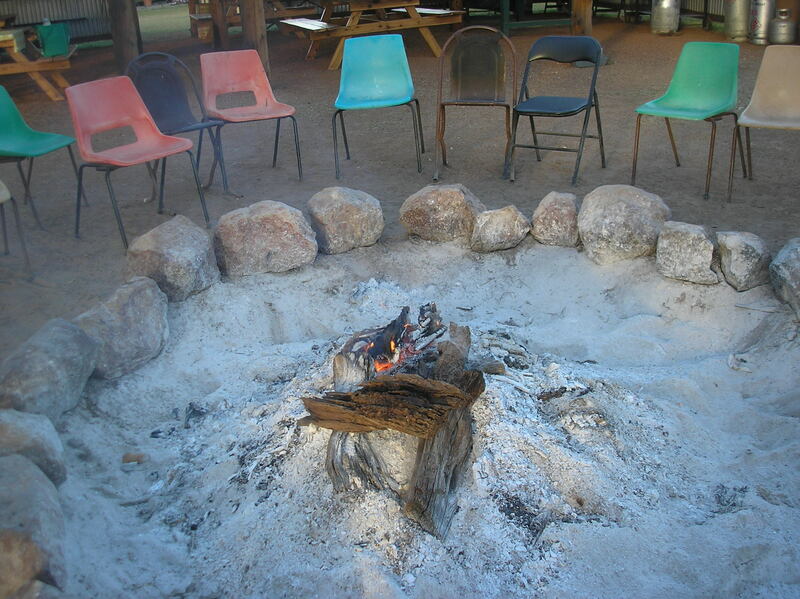 At Happy Hour, twenty or so grey nomads sat chatting, drinks in hand, resting their feet on the warm stones of the fire pit. All of them were on long trips with caravans or motor homes. Freedom from family obligations, from work, from lawn mowing. It’s a fine thing to leave it all behind, liberated from routine and drudgery, and stimulated by new sights and sounds, friends and stories; perhaps feeling really alive for the first time in years. Then Happy Hour was over, and everyone disappeared back into their campers and vans to watch television. In the United States, retirees who migrate south for the winter are called snowbirds. Seniors from cold states leave home before the first snow of winter and travel to Florida or Arizona, to Palm Springs or Sun City. 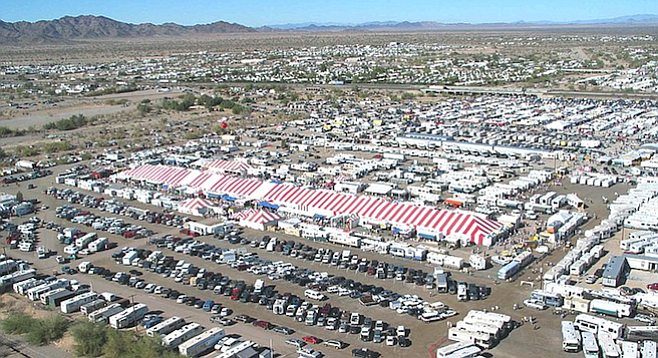 Thousands drive their recreational vehicles to the same RV resort each year. The parks advertise themselves as “Snowbird Friendly” and they attract so many large campers and caravans the shining roofs turn the countryside white. In Australia, the move is from south to north, from May to October. Thousands of units of all shapes, sizes and capabilities head up the main roads, many of them travelling on or over the speed limit, others cruising along with semi-trailers and work vehicles packing up behind them, waiting for a passing lane. Caravans are fancier these days – friends of mine bought one recently and had to take it back straight away because the wine cooler wasn’t working – but not everyone wants a huge, luxury caravan. There are different cultures amongst grey nomads, and different values. Younger retirees call themselves adventure travellers, and tow sturdy off-road camper trailers. They tackle the Birdsville Track and Tanami Desert, and scorn cheesey camper slogans: “Adventure before Dementia”, or “Spending the Kids’ Inheritance”. I met one such couple who had camped at the basic, unpowered campgrounds of Karijini National Park in Western Australia’s Pilbara, a most beautiful place. Back on the coast at Karratha, they’d told other travellers about Karijini. Each year, travelling retirees bring millions of dollars to country town economies; but they are careful with their money. The most they spend in any one town may be a few dollars for groceries, a meal at the RSL Club, and fuel. Like backpackers, they watch every dollar. There’s a story, true or not, of a couple of men going into the bar of a country hotel. They order schooners of beer. To their astonishment, the publican charges them only ten cents a glass. They drink their beers and order another round, and the same thing happens.